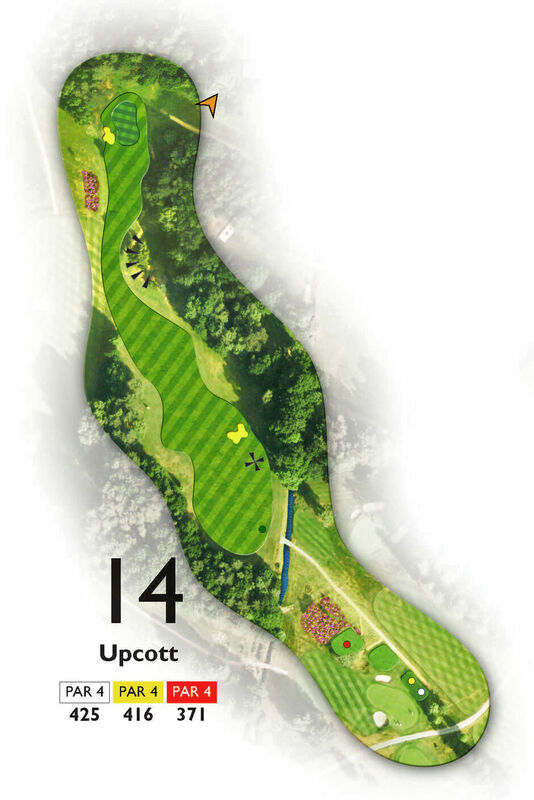 Upcott: A hole with numerous strategies. Whilst long hitters can drive to a position leaving a short iron in, anything marginally right or left is inevitably punished or blocked out. Shorter hitters should play up the left side, leaving space to play over the silver birch that stands sentry on the corner. The percentage approach shot is long and right of the pin, leaving a putt or chip to a green sloping toward you.